Last night, Sunday 15th July, saw the Thukk You, Frill Me protest event happen, which handily provided me with a theme for a Ganked roam that I did not have to think up myself! 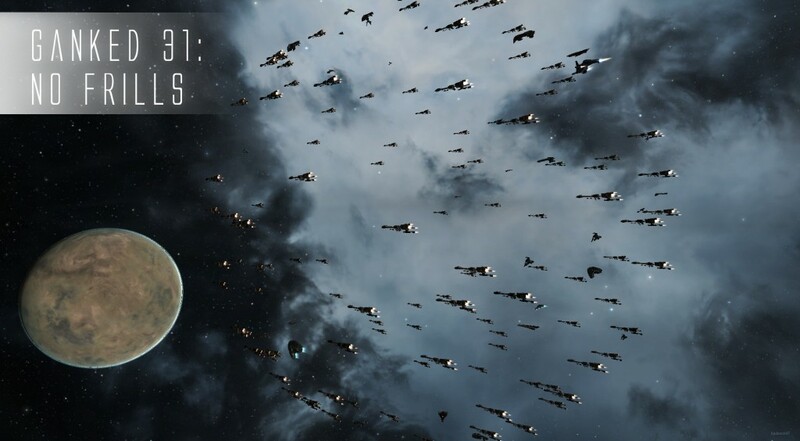 We gathered a very large fleet consisting mostly of Stabber hulls (Stabber, Stabber Fleet Issue & Vagabond), in fact at our peak we had 190 pilots flying with us, one of the largest Ganked fleets to date. At the kick off time we moved into Jita, managing to cap out the system and lock around half the fleet out at the same time too, however eventually everyone got in – at the expense of some angry haulers no doubt – and we congregated around the monument a ways off Jita 4-4, were at an appointed time we were to explode a vagabond as part of the Thukk You, Frill Me event. While waiting to do that we bumped haulers off the 4-4 undock, kept shooting a flashy typhoon – eventually killing its pilot in a reaper – and then just as we killed Lord Director Combat Mink in the symbolic vagabond hull to represent our disdain for the removal of the vagabond’s frill, we had a visit from a smart-bomb fit battleship. These people never learn do they. [ 2012.07.15 23:32:30 ] Y’talana Ktra’a > Okay. Eventually, after some fun with Autopilot routing some of us one way through Great Wildlands, and some of us another way, we ended up in M-MD3B. A few of our fleet took the opportunity to shoot at the Thukker HQ there, while the rest of us took a small break, before we moved the roam onwards looking for a huge fire to die to. And that took ages, obviously 150+ in fleet at that stage is scary, even when its 150 drunks in Stabber hulls with me leading them. We bounced through Curse, with only a few losses – mostly lemmings and one drunken Seismic Stan – and only a couple of kills around Doril while I was flouncing off due to other issues! Then I heard of a potential large group of dudes in GE- in Catch, and away we went. We got there, got wind of an -A- gang sitting on the in gate in Rokhs and support ships, ended up jumping after they had warped. Turned out they warped to reship into Armageddons and Onerios and Lokis and such things. Our Glorious Fleet of No Frills then jumped out and waited for them to follow, which they did. And then we died, as -A- need such a morale booster that they cannot even fight a fun fleet in a fun way, they have to pretty much decimate it; I suppose when you normally cannot find the undock button, have worse FC’s than me and are not the powerhouse you used to be, you take anything you can. However we did give them a bloody nose on our way down. And that boys & girls is the story of Ganked 31: No Frills. And as we have every week, our glorious at sponsors at Somer.Blink have provided prizes, and here are the winners. Heretic — Omen Navy Issue (Orando) For final blow on the Loki, and because his Omen stands out amongst all the Stabber Hulls on the mail. You will all be contacted this week by a Somer.Blink representative with your prize. As a result of this unannounced change to the Vagabond, there will be a “protest march” of sorts featuring the Vagabond (Does High Sierra still offer them for free?!) and its cousins the Stabber & Stabber Fleet Issue taking place on Sunday 15th July 2012 from 18.00 EVE time onwards; and I have been approached to use my organisational hutzpah to put some violence together during and after this march. Basically, the “protest march” will turn into Ganked: No Frills Edition (+1 internets to anyone who gets the reference). 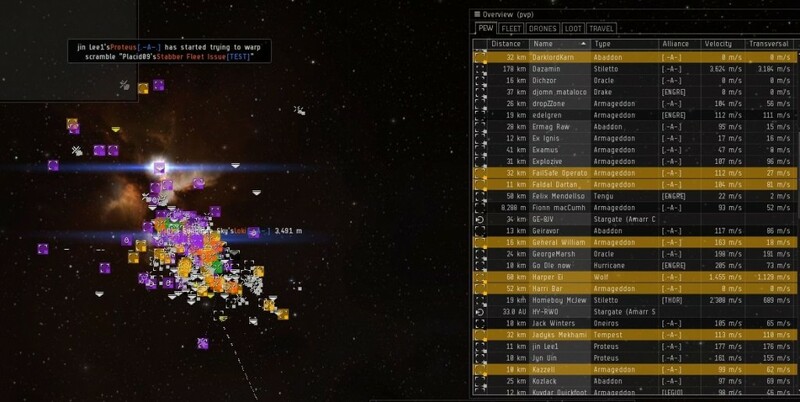 1929 “Thukk You” Outlaw/?RvB fleet enters Jita, performs monument alphastrike flyby. Pinata self-destructed. 2100 Fleet arrives in M-MD3B to deliver a sternly-worded letter of complaint to the Thukker Mix CEO. 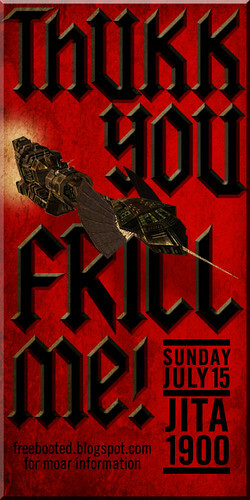 The “Outlaw/RvB” Fleet is basically the Ganked: No Frills fleet – along with anyone else who wants in to this evening too. We will meet up in New Caldari (Most of us will anyway) and enter Jita when planned. Following this we will race to Akora to meet the flashy members of the group and then head on down to M-MD3B in the Great Wildlands via N-RAEL. After a short “protest” at the Thukker HQ, we will move off and go roaming in our No Frills fleet of greatness. As per normal if you cannot fly a stabber hull fly something useful – tackle/bubbles especially.